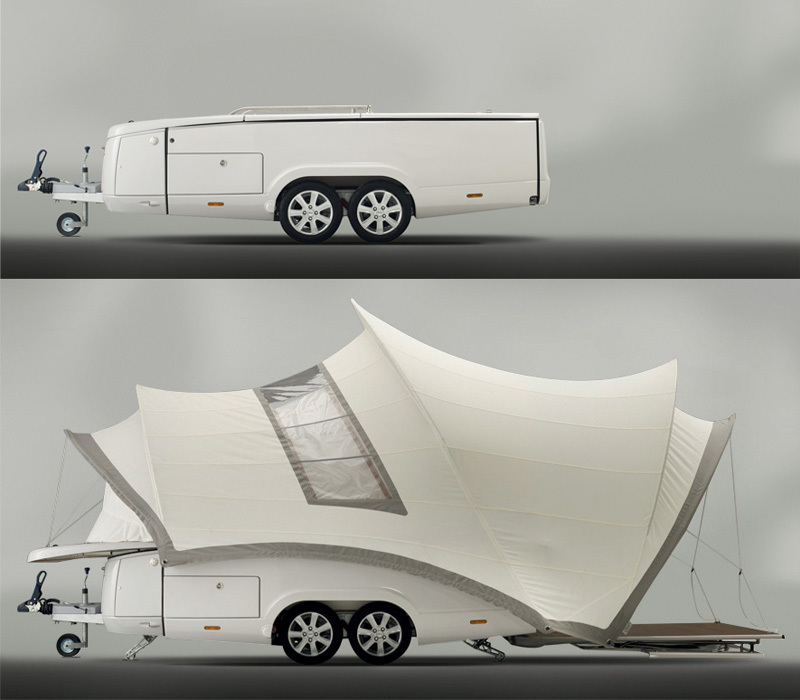 The staged renderings of the sculptural Opera camper trailer were definitely dramatic, much like the Sydney Opera House from which its shape was derived. 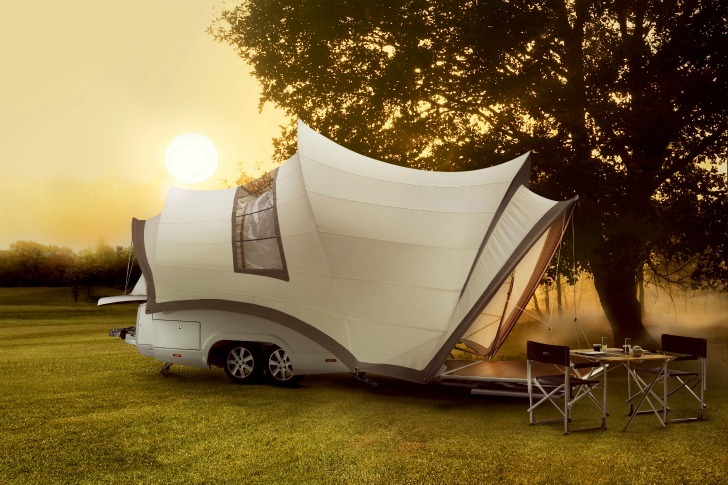 Now, however, the design has reached the physical prototype stage and its theatrical debut is as every bit as impressive as one might hope – and created to appeal to mobile retirees and young roadies alike. Why settle for a boring everyday RV when you could have a replica of one of the world’s most famous theatrical halls instead? 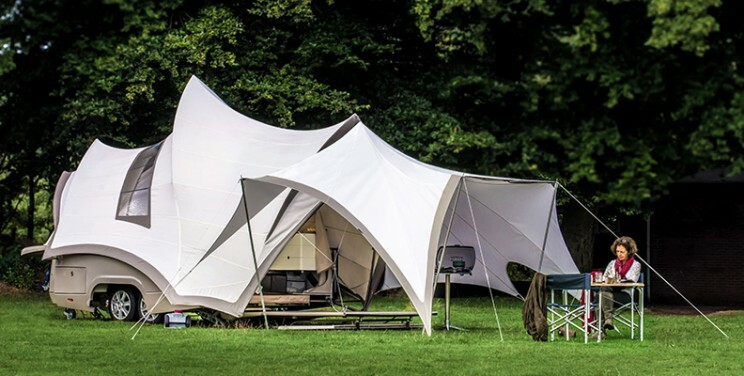 The Opera achieves its standout shape thank to a surprisingly simple set of canopies and supports that pop out of the streamlined camper base on demand. 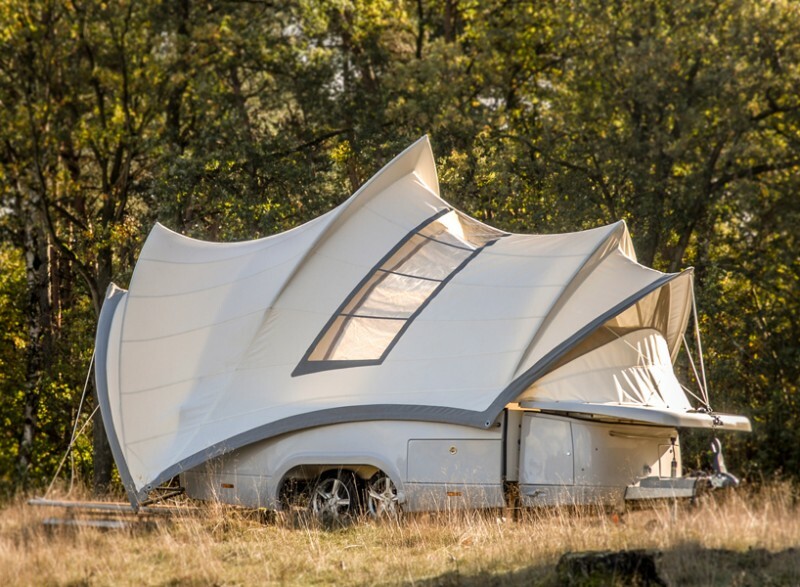 Designed by Belgian architect Axel Enthoven, the Opera modern camper trailer is the ultimate in cool and unique modern pop up campers, and it’s incredibly compact as well. Everything packs away much smaller than you’d imagine, and the trailer can be towed behind a standard vehicle. 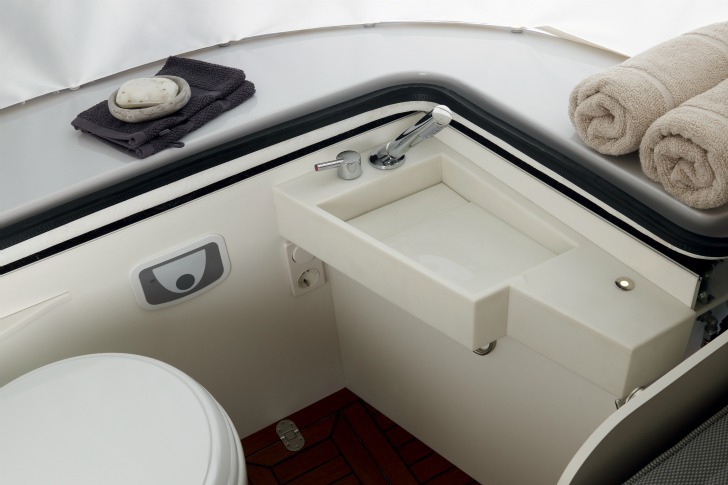 A fully-equipped camper, the hybrid Dutch/German-engineered Opera blends hard and soft elements, boasting a collapsible durable-fabric roof, two beds, a ceramic toilet, a top loading refrigerator, integrated LED lighting as well as a kitchen with hot water. 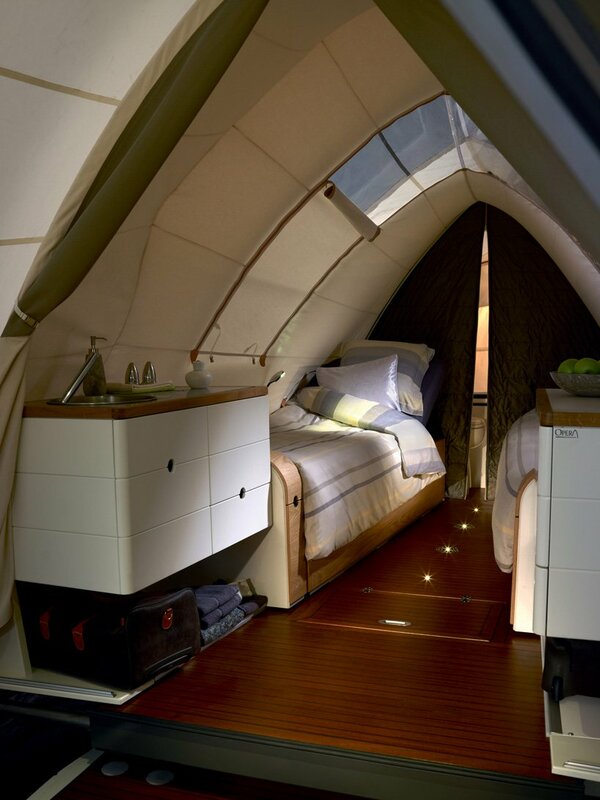 This is clearly “glamping” in one of its most compact forms, allowing for all sorts of luxuries you wouldn’t normally have while roughing it in the woods — like a modular teak verandah, drawers and other storage for your clothing and small items, a skylight and at least a little bit of privacy in the bathroom.